The view on the south side of Little Trees Hill, the highest point on the Gog Magog Hills, looking over towards Linton Water Tower and beyond, is quite splendid and rather special. So too is the ground lying beneath you as you stand there. There is very little soil on this chalky hillside which makes it the ideal environment for chalk grassland and flowers to flourish, a habitat now very rare and one we have to nurture and cherish. Chalk grasslands have been in decline in the UK for the last 50 years. We have the opportunity to restore a truly wildlife rich habitat – up to 40 species of flowering plants can be found in one square metre of lowland calcareous grassland – it has even been called the European equivalent of the tropical rainforest. Along with a rich flora, butterflies and insects are returning to this south facing slope of Magog Down. The previous heavy footfall across the top of the hill led the Governors to the decision to close the path, in order to allow the flora to recover. Additionally the area has been incorporated into a paddock, where sheep are grazed. 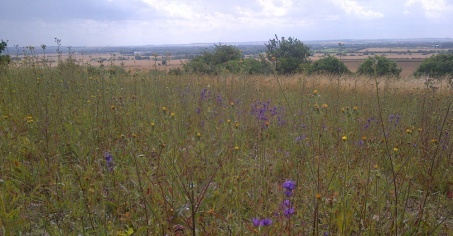 This is the best management for chalk grassland. Now that the flora is recovering, this paddock will be open for access [from later in February] but ONLY when there are no sheep grazing. It will ALWAYS remain closed to dogs. 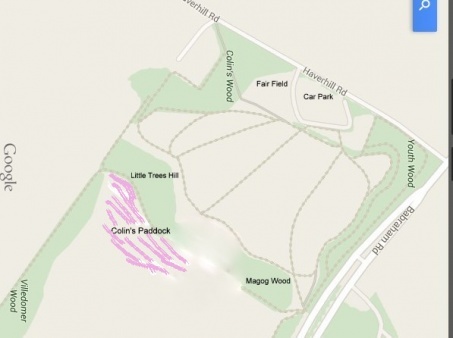 the area remains one for quiet recreation and for young children to play on grass free of dogs faeces. The paddock will have to be shut whenever sheep are expected to graze so PLEASE respect the notices on the gates. There will be no through route with entrance and exit by one OR other of the gates on Shepherds’s walk. 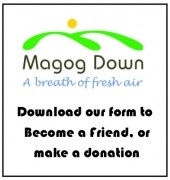 We appreciate your help and cooperation in keeping Magog Down a special place, particularly this rare hilltop.